“Can he who made the ear, not hear? Can he who made the eye, not see?” — Psalm 94. “Unfortunately, a significant number of the most influential theologians treat the issue as if evolution were already an established ‘dogma’. Meanwhile, the evidence of Tradition, as well as contemporary science, again poses the question regarding the formation of the world. Did God create matter and energy, with laws pursuant to which, under God’s Providence, everything incessantly evolves, heading towards the ‘Omega Point’, towards ultimate self-realization? Or rather, did God create the world, and then during six days decorate it (St. Ambrose), that is, add the bounty of new natures…? And after He completed this act of formation on the seventh day He took his rest, and this is when the history of salvation started, a history in which God also acts, albeit in a different manner.” — Michael Chaberek, O.P., Catholicism and Evolution, 2015. “The truth is that the Church was actually the first thing that ever tried to combine reason and religion. There had never before been any such union of the priests and the philosophers.” — G. K. Chesterton, Everlasting Man, 1925. Fr. 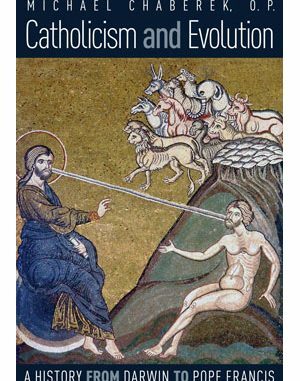 Michael Chaberek’s carefully researched and argued book Catholicism and Evolution examines how the magisterium of the Catholic Church has dealt with Darwin and the subsequent theories of evolution since about one hundred and fifty years ago. Adam and Eve have, of course, been with us for a long time and, indeed, they are still with us in this book. But was there one Adam or many? Where did Adam’s body, if not his soul or whole being, come from? What about Eve? Did she, to provide for future generations, just settle among us by chance or by a special creation? And what about the cosmos itself? Is it still worth reading Genesis and its account of “the Beginning”? Or, if we insist on accepting the chance version of cosmic and human origins, what does this theory do to Christian revelation? 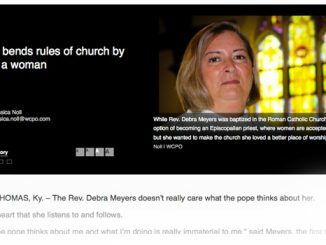 Did the Church just “rubber stamp” the latest scientific “theories”, “hypotheses? or speculations no matter how much they contradicted Scripture? Is there a reason to take a “second” look at what the Church Fathers had been saying all along? Chaberek is a Polish Dominican priest and theologian whose book has two basic purposes: 1) To examine the record of papal, episcopal, and other documents from Catholic theological and philosophical sources on the question of evolution and how to understand the “authority” of these various statements, and 2) to propose that science itself requires a new way to look at what is called evolution, one that makes the central tradition of the Church on cosmic and human origins much more sensible than many theologians had recognized. Basically, this book proposes that the “intrinsic design” evidence that comes out of research in biology and genetics in particular no longer allows, on scientific—not religious—grounds, an easy relation between those forms of evolution based on chance and random selectivity with what really happened with the appearance of the world and man in reality. The first two chapters of the book present the understanding of Darwin and evolution in the century and half from when Darwin’s works first appeared. The remaining eight chapters of the book, with the Appendix (“Two Views on the Origin of the Human Body”), proceed chronologically through the various discussions in Catholic circles of the import and meaning of evolution for the faith. This very detailed and wide-ranging reading of these positions from Pius IX to Pope Francis contains a rich mine of useful and interesting information. Naturally, the center of attention in the Church was whether Darwin’s famous proposals were compatible with divine revelation and, secondarily, whether they were even reasonable in themselves. Chaberek is careful to acknowledge the differing theories of evolution and the corresponding degrees with which theologians agreed or disagreed with it and on what grounds. If Chaberek has a “thesis”, it is that many Catholic prelates and theologians have been too hasty in accepting the presumed scientific grounds of evolution. Hence, they have been less careful to see the relevance of revelation to the scientific question itself. Perhaps, like the presumed “scientific” basis of “earth warming”, we have a “Galileo-in-reverse” situation. That is, Church officials, instead of imposing theological ideas on science, are too quick to accept scientific proposals as a basis for theological reflection that are themselves dubious or unproved. The book is also a good examination of just what we mean by “infallible”and who exercises infallibility—how, when, and with what authority. The reason why Chaberek takes so much care with the exact “authority” of each papal, episcopal, or theological document is that, in his view, Catholic thinkers, sometimes at the highest level, seem to have been much too uncritical in accepting the implications of evolution as if it were “proved”. This caution means that the book is often a study in the binding or non-binding force of apparently official documents. It seems somewhat ironical but the import of this book is to suggest that the Church tradition has been mostly right all along. But many thinkers were tempted to deviate because they were too sure that a form of evolutionary science had said the last word on a subject that was itself open to much questioning on its own grounds. That being said, this book is not antiquarian or by any means “fundamentalist”. It accepts forms of evolution as a fact in making accidental, though usually not permanent, changes in individuals of a species. If anything, Catholicism and Evolution is a plea to be more up-to-date than the modernist and liberal mind that bases its views uncritically on a popularized version of evolution as “scientific”. This book requires a very careful reading; it is tightly argued and carefully researched. If I were to suggest anything to read along with this book, it would be Fr. Robert Spitzer’s New Cosmological Proofs for the Existence of God, Cardinal Josef Ratzinger’s In the Beginning…”, and Fr. Robert Sokolowski’s The God of Faith and Reason. The researches and approach of the Discovery Institute in Seattle are present in this book. That is, there is a much controverted argument within science itself that something very wrong is found in those evolutionary theories that assume, in its various versions that something by chance came from nothing. This position will mean, of course, that the validity of the argument of this book will itself depend largely not on theology but on science and its self-understanding. In other words, the Psalmist’s query “Can he who made the ear, not hear?” suggests a universe of intelligence and order. What intelligent designs adds is that there is no mathematical or scientific probability that such a relation could occur by chance or random selection. In itself, this position has nothing directly to do with revelation, though it does have much to do with reason. This book then is not an “anti-scientific” book. It is just the opposite. Nor is it an”anti-theological” book. Rather it suggests that many Catholic prelates and theologians did not take a careful enough look at the facts of revelation because of a too facile acceptance of those Darwinian schools that were based on the notion that the world just happened by itself with no real guiding origin or following order. The famous Big Bang thesis, no doubt, has already caused considerable hesitation here, though one of the current scientific “missions” seems to be to save this version of science so that it does not have to admit a beginning from a nothing that seems to presuppose a very detailed and specific order in that universe, one that alone could have made it possible for actual finite human beings to live someplace in this universe. It is important to note that the scientific thesis of intrinsic design has room for evolutionary elements within the manifestations of order. In fact, chance is a definite factor in the universe and in every existing human life, but it is a chance that occurs when two purposeful actions cross each other. It is not just “chance” in the midst of nothingness. Thus, if it could be shown that the manifestations of intrinsic design that do exist in the universe and in the microcosmos that is man were products of chance, this book’s thesis would fall apart. But the evidence seems to show rather that order does exist. In this context, the real “liberals”—the ones really willing to accept “change”—are not the dogmatic evolutionists and their theological followers who show themselves as “conservative” if not “reactionary”, but those who are willing to face the implications of the evidence that order is manifest in the universe. The final point worth making about this book has to do with revelation and reason. It is quite true that under the impact of evolutionary theory, as well as that of biblical criticism, we have a much more nuanced understanding of Scripture in the light of what we know about the universe, its age, the age of man, the conditions for life, and the distinction of living species. What is interesting, as noted in the citation that I placed at the beginning, is that Chaberek understands that a “history of salvation” began when God rested from creation. The world does not exist to reach some inner-worldly “Omega Point”, a view that Chaberet deals with in his chapter on Teilhard, but to connect the Word that began creation with the Word that came to redeem it. The awareness of this point may well be the most important part of this book. Thus, Chaberet goes back to read Scripture, the early Fathers of the Church, as well as Aquinas and the later theologians and pontiffs who wrote before Darwin. Along with the 19th and early 20th century decisions, they defended the importance of the essential elements in the creation and redemption narratives—creation from nothing, different elements within creation, existence of a mind within the cosmos, evidence of mind in existing things. Under the pressure of the prestige of evolutionary theory based on chance and random selection, many accommodations were made, even to the extent of simply accepting this view as “scientific” with no questions asked. Evolution, as within the descriptive science of biological change, can…be taken as established beyond any doubt whatsoever. Evolutionist Doctrine, however, is a very different matter. Not content to confine itself to a systematic description of biological change, it purports to prove and explain it in much the same manner as proof and explanation are offered in the instructional sciences. This is a philosophical error with the most disastrous consequences. Yet, if we examine with more care what revelation teaches us, in the precise light of what we now know of the physical and biological universe, we can see that the teachings found in Scripture, in their essence, do shed light on what we have come to know. We cannot argue from reason to revelation, but we can make sense of reason in the light of guidance in revelation. At bottom, I think, this is what this book is about. In conclusion, Michael Chaberek has given us much to think about. One sometimes wonders whether scholarship is “worth” anything these days. But as it often turns out, someone working away at such evidently dull topics as what did the Catholic Church have to say about evolution in modern times will suddenly open up a whole new take on essential issues of our kind—its origins and order being among the most important. Chaberek is very measured and careful in his judgments. He seeks fairness and objective evidence. But he also is willing to tell us when things do not fit together. Uncritical Catholic acceptance of forms of evolutionism has often prevented us from seeing the real “logos” that we find in things and in their origins.